Looking for a way to combine veggies, fruit, and protein? Here you go. This easy recipe will have you thinking you're sipping on a decadent berry milkshake! 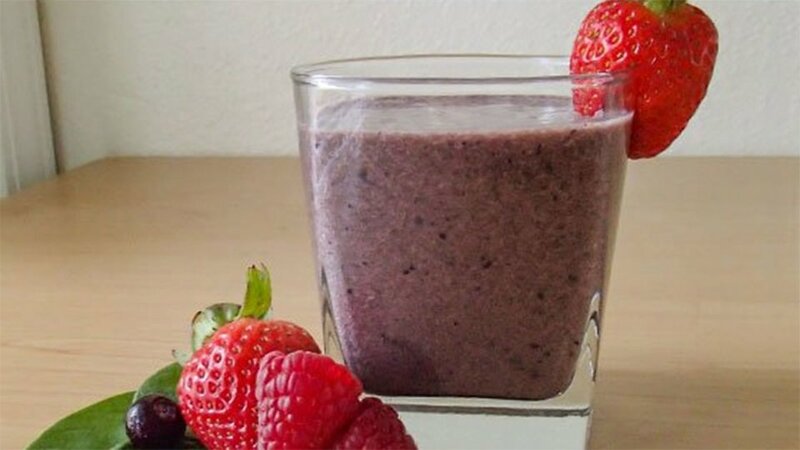 Note: You can use raspberries, strawberries or blueberries in your shake.